So I've decided to start playing LoL but I am having trouble running it on Windows 8.1 Pro 64bit, Anyone else here running it without trouble on Windows 8. I believe Life plays League of Legends, but i'm not sure what OS he has. Maybe send him a PM, and he could tell you. I've been reading on the forums that running as admin has worked for some users but hasn't for me and setting compatibility to Windows 7 hasn't helped but will give it another shot. Alright, Do you mind doing a screenshot? Does it get stuck on the launcer mode? like when it says league of legends and stop? Does the launcher come up? So we've made some progress, I decided to uninstall and reinstall it then it launched and bam its working. 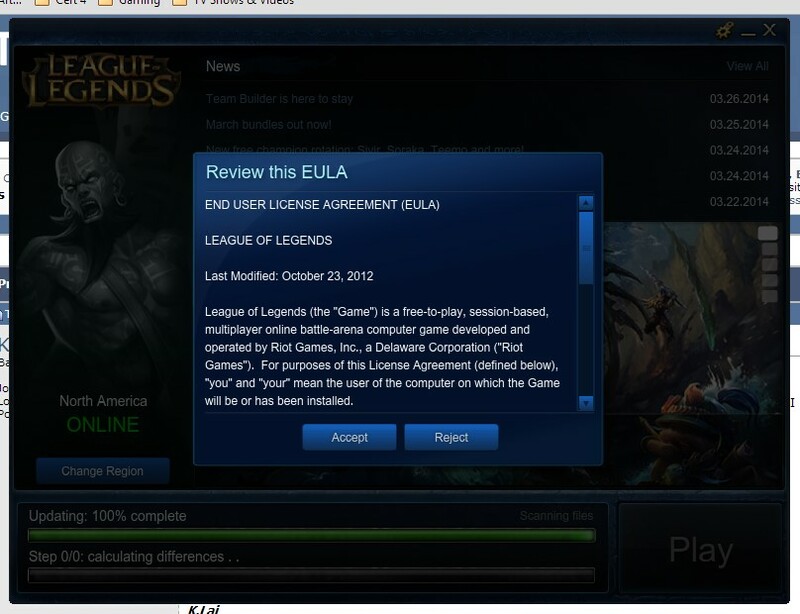 I was obviously being my impatient self and rushing things and not giving it a chance and bam the launcher appeared. Awesome! nice. If anything else needed, like game tips and what not, post up!!. Let me or others that play LoL know. Now I can't remember my username or password and the emails hasn't come through to retrieve them..